News & Developments - Rabbinical College of Australia and N.Z. See our blog for the latest news and developments occurring at Yeshivah Gedolah. 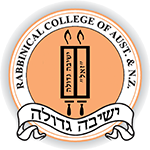 The Executive of the Rabbinical College of Australia & New Zealand (Yeshivah Gedolah) has announced the expansion of the college’s personnel with the creation of two new staff positions. From its very inception, the establishment of the Yeshivah Gedolah was regarded as a vital step in ensuring that Melbourne become a truly viable Jewish community. The college provides students with the opportunity to focus on Judaic and rabbinic studies, and the means through which to further develop into active and indispensable members of the community. With the appointment earlier this year of our newest Mashpia (Chassidic guide and mentor), Yeshivah Gedolah has itself reaped the fruits of its labour. When the need for an additional Mashpia became apparent, an international search was launched in order to procure the most suitable candidate. Ultimately, Rabbi Yosef Schneier was selected. Rabbi Schneier is a graduate of Yeshivah College (2002) and Yeshivah Gedolah (2003), who then continued his education at a number of Yeshivos in France, Germany and the USA. He received his rabbinical ordination at Heichal Menachem – Machon Chaim (Melbourne), and pursued further studies at the Central Lubavitcher Yeshivah (New York) and at Kollel Menachem (Melbourne). Rabbi Schneier is noted for his enthusiasm and energy, his engaging delivery of shiurim, and for the personal attention he gives to each student. He joins the college’s Mashpia, Rabbi Yaakov Winner, in the lecturing and teaching of the Chassidus curriculum. With student numbers at capacity levels for the last few years, the need for an additional staff member in Chassidus was necessary. In addition, Mr Mordechai Joseph has been appointed as General Manager. He will be responsible for the general administration of the office and day-to-day operations of the college. For the last forty years, the demands on the college’s office have increased exponentially without a corresponding increase in administrative staff. Student numbers and associated requirements have grown, onerous and time-consuming accreditation and compliance issues have been introduced, and the college’s budget has reached over one million dollars. Executive Director, Mr Avrohom Procel, has welcomed the appointment as long overdue and vitally necessary for the college’s future. Mr Procel will now be able to concentrate on improving the college’s financial health, increased fundraising activity and procuring new sources of revenue in order to meet the gap between income received from tuition fees and growing expenses. In 5744 (1984), the Lubavitcher Rebbe initiated the daily study of the Rambam’s Mishneh Torah (Maimonides' compendium of Jewish law). The Mishneh Torah is unique in that it is the only code which encompasses the entire spectrum of Jewish Law, including many laws that apply only during the times of the Beis Hamkidosh (the Holy Temple), and which will again be pertinent during the Messianic Era. At Yeshivah Gedolah, students study the daily lesson of Rambam as an extra-curricular pursuit, in accordance with the Rebbe’s guidelines. The Shluchim at Yeshiva Gedolah have generated renewed enthusiasm in the daily lesson of Rambam, with a captivating daily shiur delivered during the dinner break by Menachem Mendel Begun. The Shluchim also provide the weekly “Chayenu” publication (a weekly Torah magazine for the English speaker) at a subsidized price, in order to encourage the study of Chitas and Rambam. Additional incentives include a weekly pizza lunch (donated in part by Zavdiel’s Vegetarian Pizza & Falafel Bar), a monthly restaurant dinner, and monthly raffle with prizes pegged to the amount of attendees. In the month of Adar Rishon, 26 Bochurim committed to and successfully completed four weeks of consecutive study. These participants celebrated their achievement at a dinner catered by Daneli's Deli. The Bochurim heard words of inspiration, and viewed a video clip of the Rebbe regarding the importance of learning Rambam. Finally, a raffle was conducted, with the grand prize of $250 awarded to Moshe Procel. The incentives for the months of Adar Rishon and Adar Sheni have been generously sponsored by Dovi Lesches (Brooklyn, NY) in memory of his grandparents, Moshe ben Yishayahu and Chana Leah bas Yishayahu. Each Friday afternoon, the students utilize their free time to visit workplaces, shopping centres and offices, in order to share a word of Torah with fellow Jews, and to encourage them to fulfil an extra Mitzvah, be it Tefillin, Shabbos candles, or charity. Some of the students also visit patients in area hospitals and homes, offering a word of encouragement and sympathy in their time of distress. Abe is the owner of a gym, and one of our regular “clients”. On one particular Friday, we encouraged Abe to put on Tefillin, but he did not feel up to it. Instead, we conversed with him for a little while, and wished him a good Shabbos. Afterwards, we approached Eve, a Jewish patron of the gym. We began conversing with her, and Eve related that whilst vacationing in California, she enjoyed a leisurely afternoon stroll with her teenage son. As they passed through an outdoor mall, the pair noticed a young Lubavitcher Rabbi eying them. As they came closer, the young Rabbi introduced himself, and politely asked the teenage son whether he would be willing to put on Tefillin. The reply was in the affirmative, and the teenage son began “wrapping up”. Eve proudly looked on, when she suddenly felt a touch at her shoulder. Looking sideways, she saw another woman, overcome with emotion and unable to speak. After several moments, the woman finally calmed down enough to introduce herself as Hannah, and to explain the reason for her outburst. Hannah had been struggling with the fact that Judaism meant nothing to her only son, to the extent that he had not even been interested in celebrating his Bar-Mitzvah. Hannah was overcome with emotion upon seeing a Jew proud of his Jewishness – proud enough to publicly lay Tefillin in the midst of a bustling outdoor Californian Mall. The world is advancing at a dizzying pace; more change is achieved in a single year than in entire centuries of times gone by. Deciphering current events is often confusing, but the Lubavitcher Rebbe envisioned the signs of our times as pointing to only one outcome: The imminent redemption. The Rebbe’s talks in the early 90’s emphasized the special times that we live in, and the special responsibility we bear as a result. The Shluchim at Yeshiva Gedolah encourage the students to familiarize themselves with the Rebbe’s talks on the subject. Several booklets containing these talks have been published in both Hebrew and English, replete with related pictures, diagrams and exercises. The students study the material in small groups, and successful graduates of the program receive the book “Besuras HaGeulah” in pocket size form, and are also entered into a raffle for travel to Lubavitch World Headquarters, in Crown Heights (New York, USA). 50 YEARS: A YESHIVAH IN MELBOURNE?